The chief executives of America’s top 350 companies earned 312 times more than their workers on average last year, according to a new report published Thursday by the Economic Policy Institute...The pay gap has risen dramatically, with some fluctuations, since the 1990s. 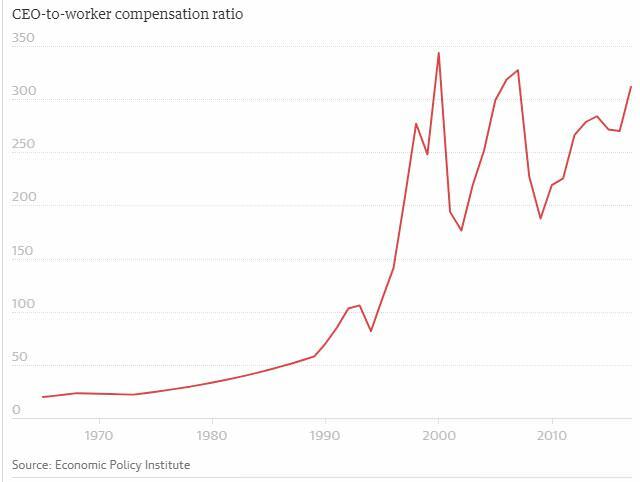 In 1965 the ratio of CEO to worker pay was 20 to one; that figure had risen to 58 to one by in 1989 and peaked in 2000 when CEOs earned 344 times the wage of their average worker. According to an analysis from the Centers for Disease Control and Prevention, the average American man now stands at 5-feet-9 1/4 inches tall and weighs 196 pounds — up 15 pounds from 20 years ago. 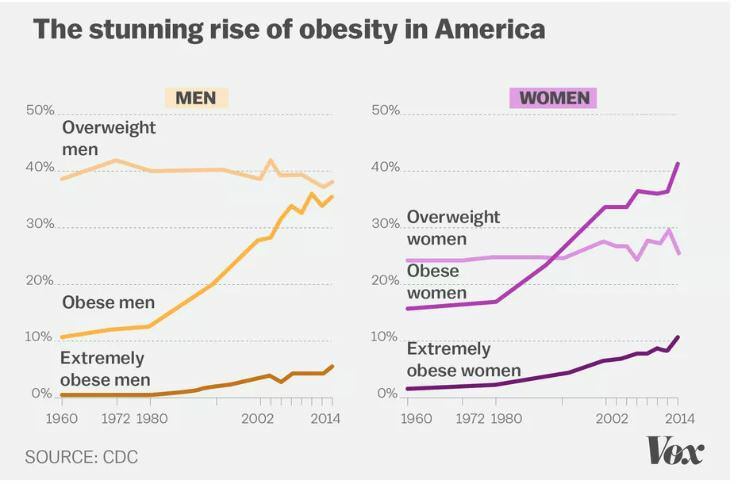 For women, the change has been even more striking: The average female today stands 5-feet-3 3/4 inches and weighs 169 pounds. In 1994, her scale read 152 pounds. The latest CDC estimates now show that, as of 2016, 40 percent of US adults and 19 percent of youth were obese. 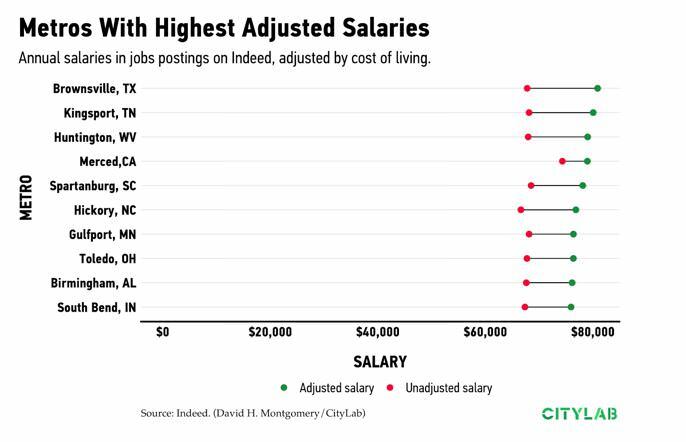 Towns with positive job growth, where residents get the biggest bang for their salary buck, are not your New York's or San Francisco's. They’re places like Duluth, Minnesota; Wilmington, North Carolina; and Lubbock, Texas. And even if you’re not about to up and move away from family and networks for these perks, there may be another city less than day’s drive away that has a lower cost of living. Achieving the toughest climate change target set in the global Paris agreement will save the world about $30tn in damages, far more than the costs of cutting carbon emissions, according to a new economic analysis. 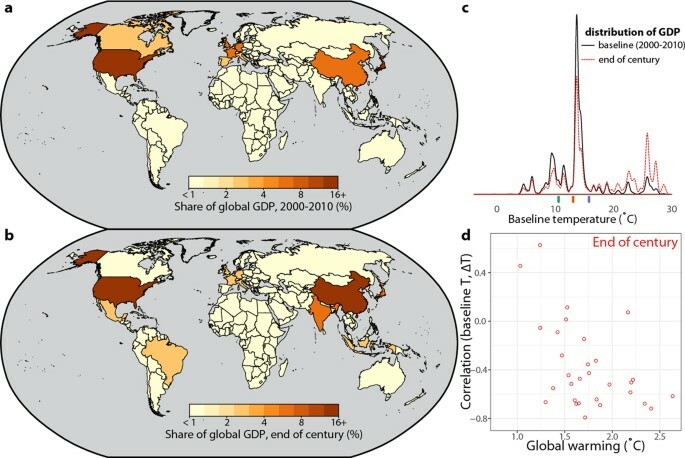 The research, published the journal Nature, is among the first to assess the economic impact of meeting the Paris climate goals. Data from the last 50 years shows clearly that when temperatures rise, GDP and other economic measures fall in most nations, due to impacts on factors including labour productivity, agricultural output and health. A number of colleagues across the public university system are working together to establish the National Public Issues Education Consortium to engage in networking, dialogue, information sharing and related coordinated event planning across the public university system for colleagues involved with community engaged scholarship. We have created a website and list serve to help organize us. Check out information on our upcoming webinar series. Please feel free to inform and invite colleagues to this new effort. On behalf of all the webinar sponsors, we are excited to bring you our Fall FREE Small Business Webinar Series. Information on how to connect to the webinar, our past webinar archives, file links, and list serve subscription is posted MSU Extension Small Business website. The 9th Annual Community Foundation Statewide Convening takes place Sept. 17-18 in Red Lodge, Montana. More info and registration details here. Interested in learning more about avalanche safety? Consider hosting a workshop in your community; MSU Extension is working with the MSU Snow and Avalanche Lab and has a new Montana Avalanche Safety MontGuide to address the increasing popularity in winter backcountry recreation.